Nothing beats waking up to the smell of bacon in the morning. 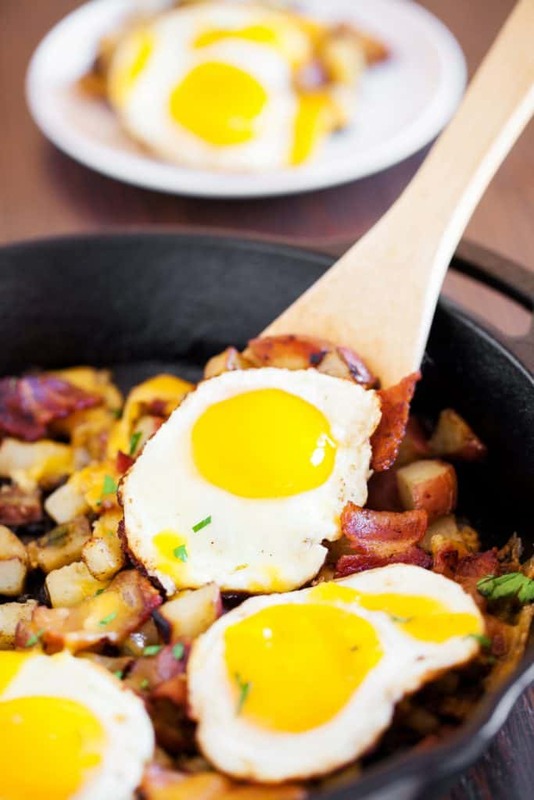 This country breakfast skillet not only has thick-cut bacon, but also tender potatoes and flavorful peppers. Not to mention, the four sunny side up eggs because no breakfast is complete without eggs. You can even make my country homestyle cornbread with the leftover bacon grease! 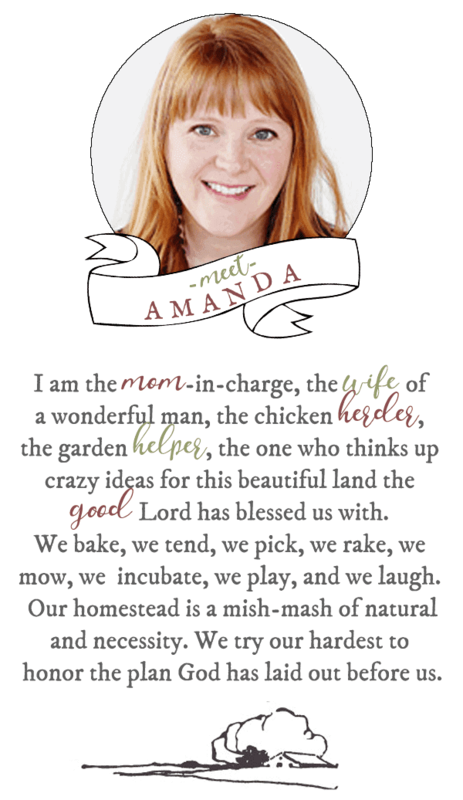 What is a country-style breakfast? I don’t know if there is an actual definition, but in my hse, country-style breakfasts are those that will keep you full until supper time. 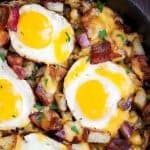 It is hearty and delicious and filled with seasoned potatoes, eggs, thick-cut bacon or seasoned sausage, and some sort of ooey gooey cheese. We usually serve it up with a side of Amish White bread, freshly toasted and slathered in butter. We use a cast iron skillet for a country breakfast because it just makes the flavors pop! 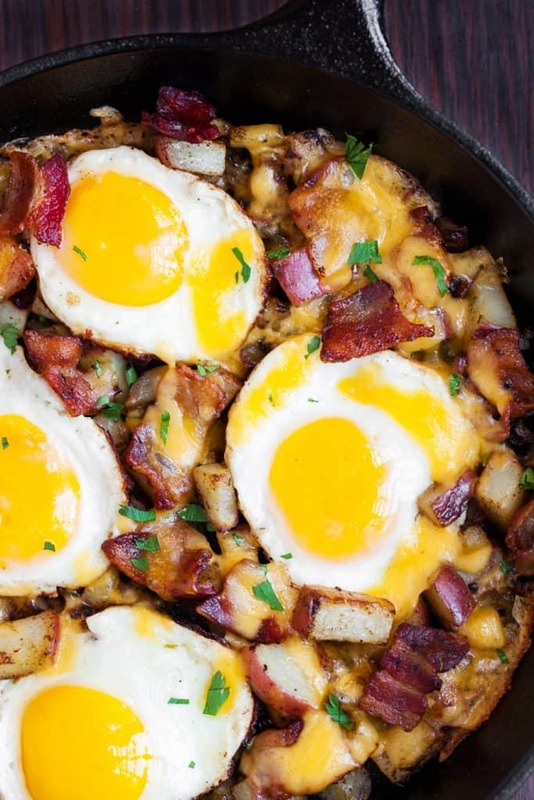 For this breakfast skillet recipe, let’s break down some of the more important ingredients. Bacon – Thick cut bacon is a must for this recipe. Typically the thickest cut of bacon you can find is our 1/8 inch thick. Potatoes – We are using red potatoes cut into small bites. The size of the cut does matter. The larger you cut them, the longer they will take to fry in the pan. Also, make sure to do your best to cut them in a uniform size. You want all of the potatoes to be done cooking at the same time. If some are large and some are small you might miss the mark on that. You can substitute red potatoes for a russet or Idaho potato in this recipe as well. Green Pepper – When picking out with green peppers to use, look for the bright, shiny and firm peppers. You don’t want them if have wrinkled skin, soft or dark spots, or moldy stems. You could also add in red or yellow peppers to this recipe. The lighter in color the pepper gets, the sweeter it is, so you might be adding some sweetness to this dish. Eggs – There are so many options when purchasing eggs. The best eggs, in my humble opinion, come from our chickens. Since you might not have that luxury, I would recommend you either find a farmer that sells their eggs or if you have to purchase them, make sure that they are at the very least organic. Yes, they cost more, but they are so worth it. Farm fresh eggs just taste better, but also, you know they aren’t filled with any of the “extra” stuff that you don’t need. Nothing beats waking up to the smell of bacon in the morning. This country breakfast skillet not only has thick-cut bacon, but also tender potatoes and flavorful peppers. Not to mention, the four sunny side up eggs because no breakfast is complete without eggs. In a skillet over medium-high heat, cook the bacon until crispy. Reserve half of the oil in the skillet and discard or save the rest. Transfer the bacon to a paper towel lined plate. To the skillet with the bacon grease, add the potatoes and peppers. Cook until potatoes are fork tender, about 15 minutes. Season with salt and pepper to taste. Transfer to the plate holding the bacon. Fry the eggs in the now empty skillet, just until the whites are set. Spoon the potato, pepper, and bacon mixture around the eggs, until heated through. Sprinkle on the cheese and allow to melt. since green peppers are a tummy issue in my family. Love this breakfast!! !